Well, forgot to buy gifts for someone ? Or you did not expect a gift from your neighbor but he/she surprised you with a gift.And now you wanted to do give her something but you don't have time to go out. (This is just a imaginative scenario,but who knows it may happen to you :)). 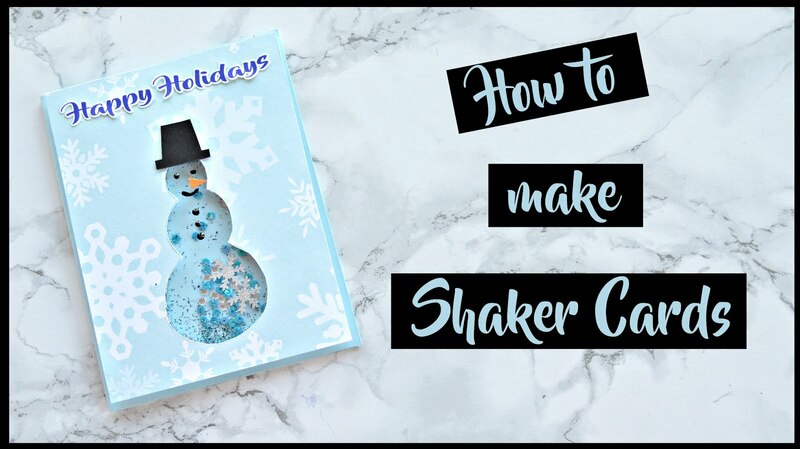 So,today I am going to show you an easy peasy way to make some edible last gifts that is perfect for the last minute wrap. 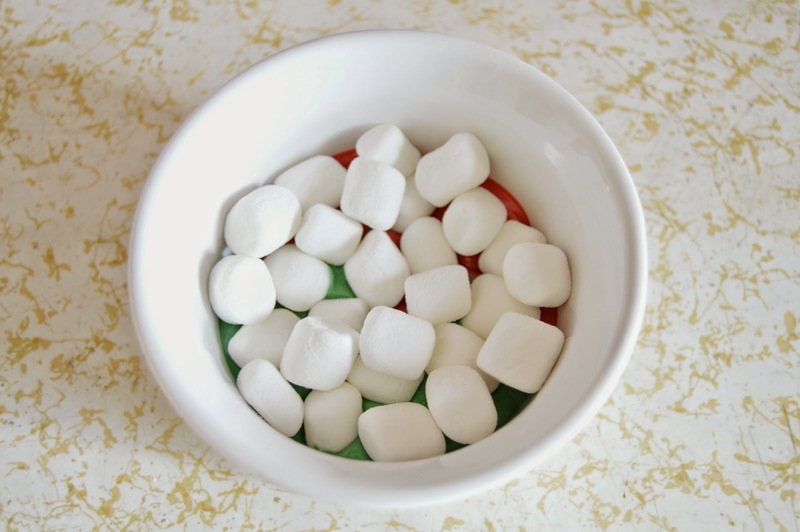 Step 1: Take a cup of candy melts (I used Wilton and took around 15 to 20 candies) and microwave it for 1.30 minutes. (It really depends on the microwave and candy melts. So it is better to do it in 30 seconds intervals). 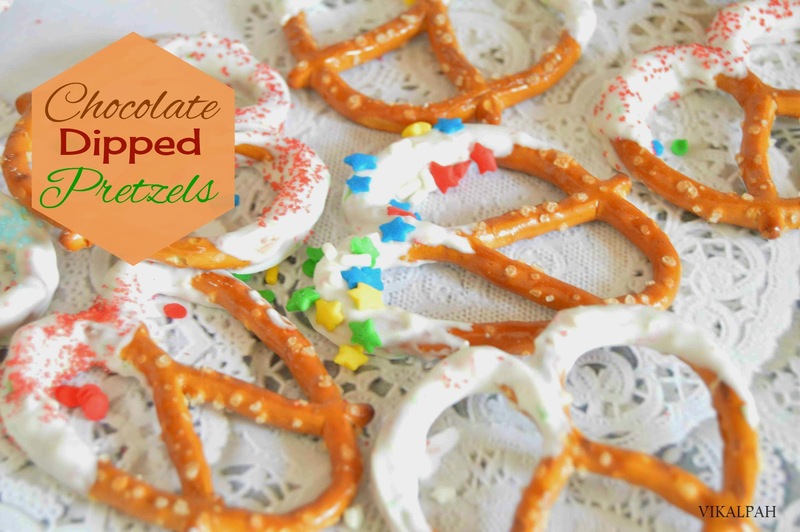 Step 2: Dip each pretzel into the chocolate so that only top half is covered with chocolate and place it in the waxpaper. Sprinkle it with sprinkles. Do not let sit for long time. the chocolate will start to froze and the sprinkles will not stick. 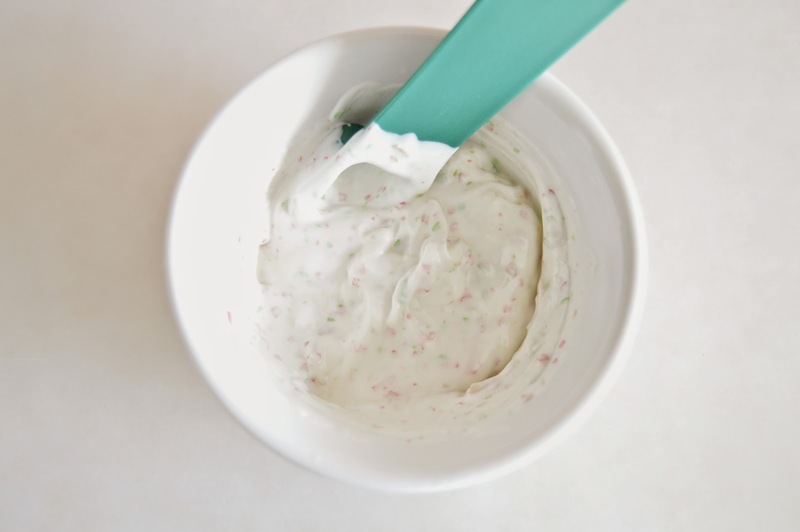 May be do four dipping and then sprinkle again dip four and then sprinkle. Use spoon to coat the chocolate evenly on both the sides. 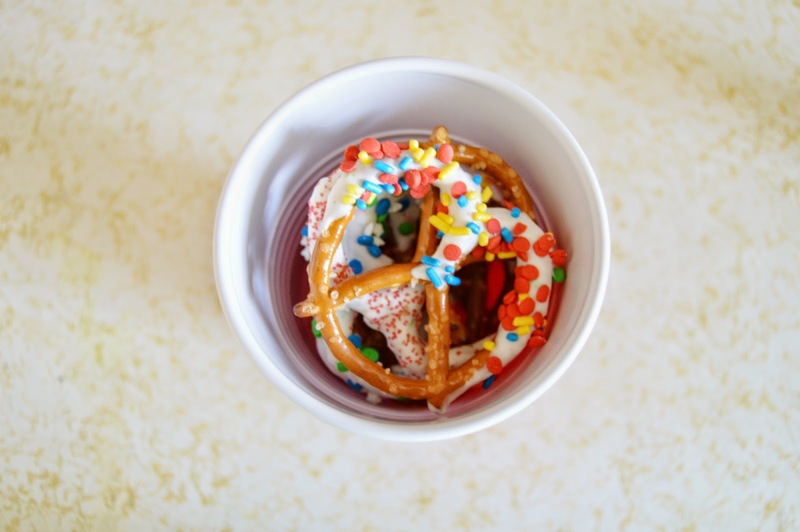 A cup (As shown) of melted chocolate coated around 20 pretzels. 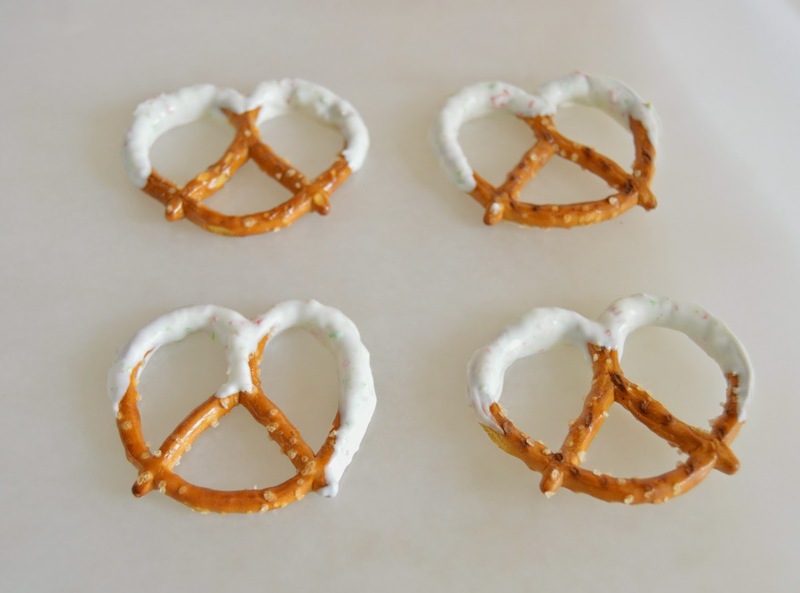 Step 3: If you are planning ahead to gift this then get a cute gift box and line it with wax paper and arrange the pretzels and wrap it with ribbon and bow. 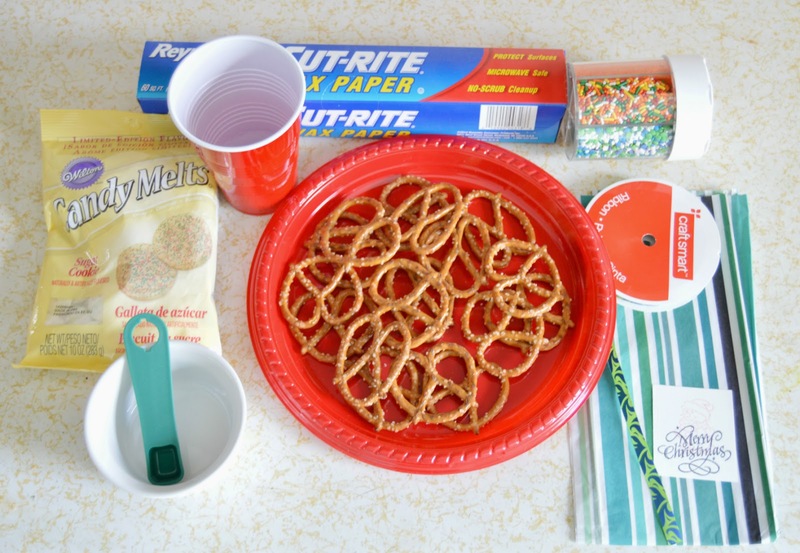 Or as the title says, if you are doing it in last minute , take a cup from the party supplies you already have and arrange the pretzels and wrap it with tissue paper. 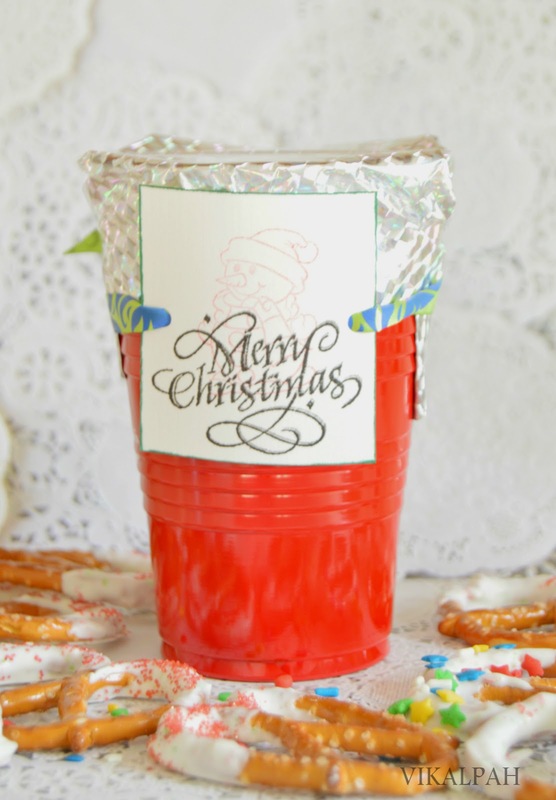 To add a decorative touch, tie a ribbon around the cup with a little Christmas message.That is it ! your edible gift is now ready to gift. 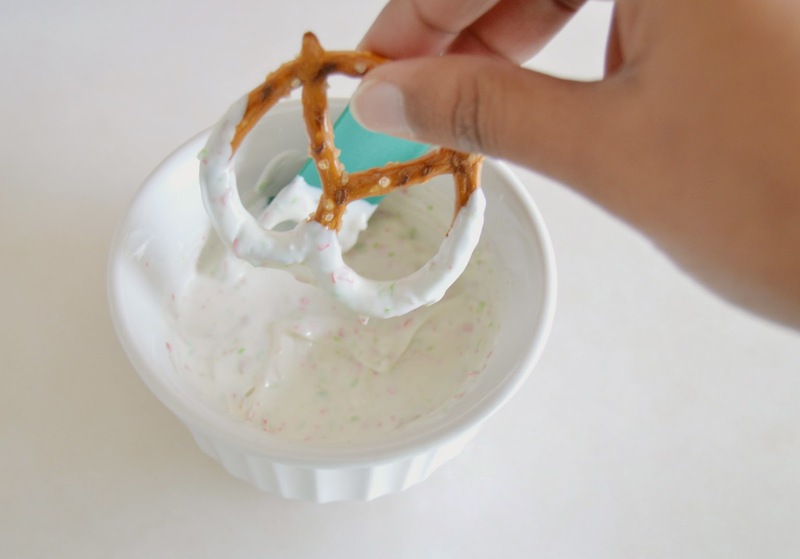 Note : No worries if you don't have pretzels, try this with any kind of cookies/Biscuits . 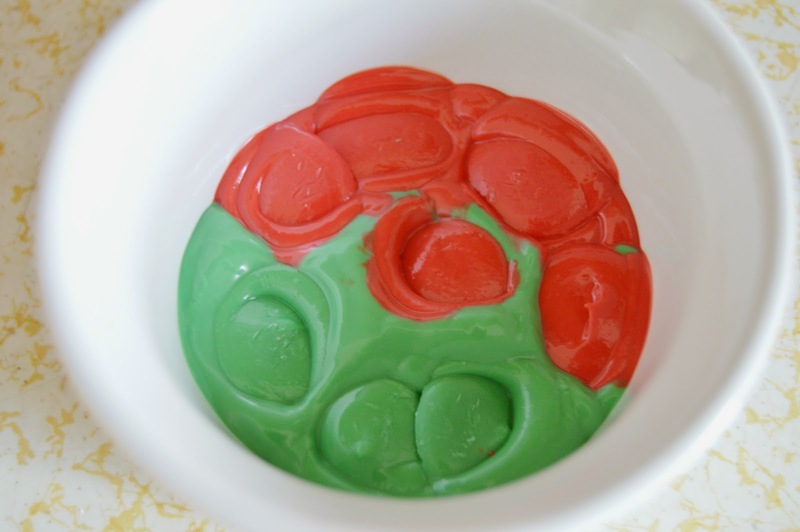 Step 1: In a bowl take equal amount of red and green candy melts. Microwave it for 1.15 minutes . It should be in such a way that it only need 15 seconds to melt completely. 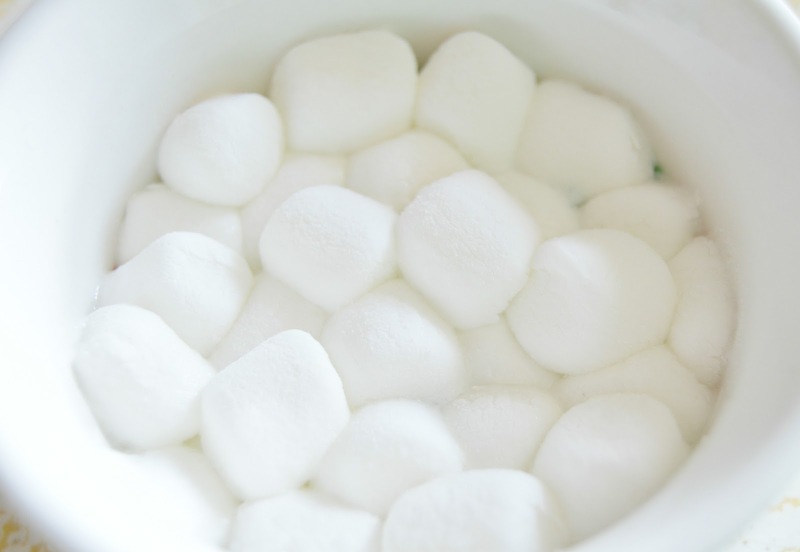 At that time throw it the marshmallows and microwave it for 15 seconds . 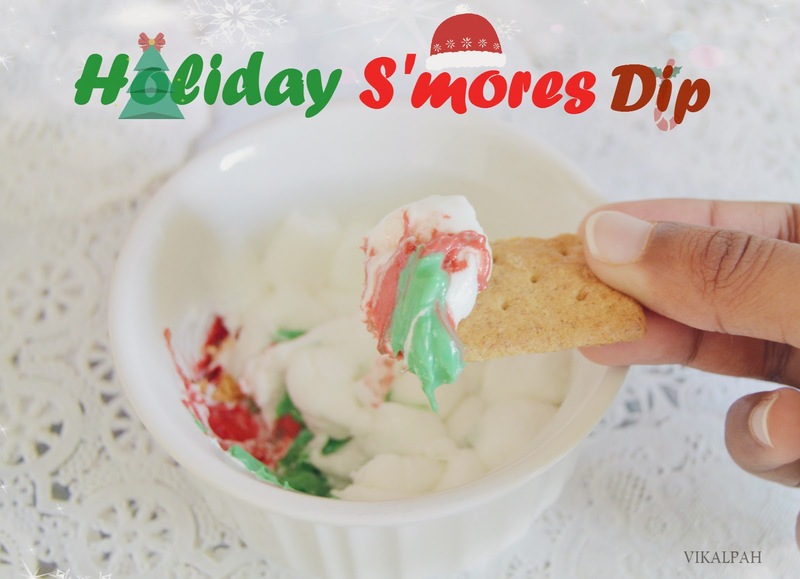 Your holiday s'mores dip is ready to enjoy.It is that quick and easy ! How cool is that to have chocolate in holiday colors rather than just chocolate ?Hmmm.... 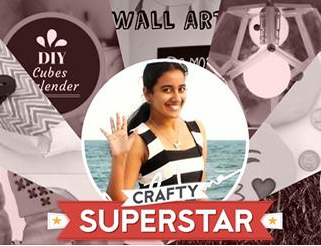 If you are a crafty person like me ,then there are chances for you to think like this. Using just chocolate is old fashion , try this at home and I am sure your guests will be surprised with this Holiday twist.This is such an easy recipe for a quick evening snack. 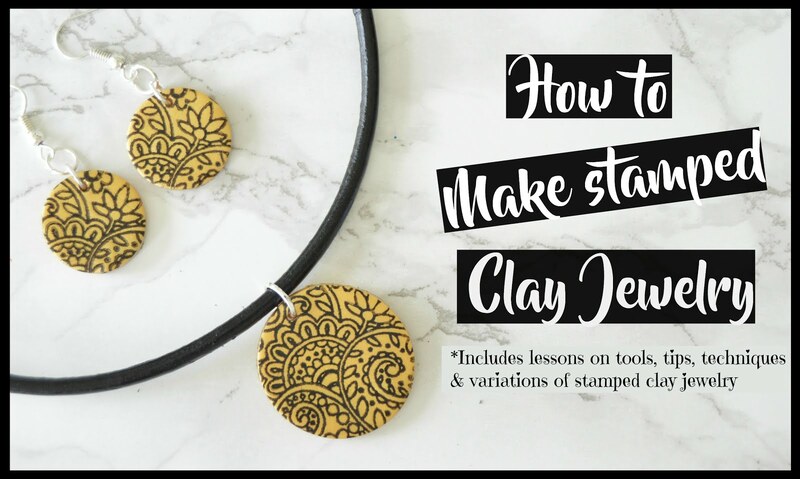 If you don't want to make it but know someone who would love to make it and have. Pack these ingredients with the recipe in a box and gift it to them.Let them enjoy !! 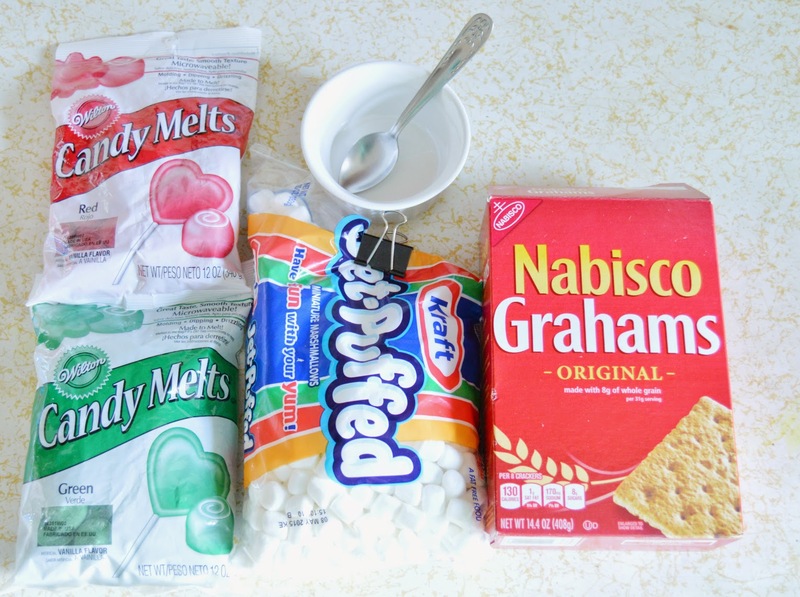 When I tested this using nestle semi sweet chocolate in the same ceramic cup at 350F preheated oven, the chocolate became crumbly and hard to scoop with crackers but when I tried this microwave version of S'mores with Wilton candy melts it worked great and I enjoyed it a lot. (May be I did some mistake or the chocolate or the oven or the cup -I could not figure it). 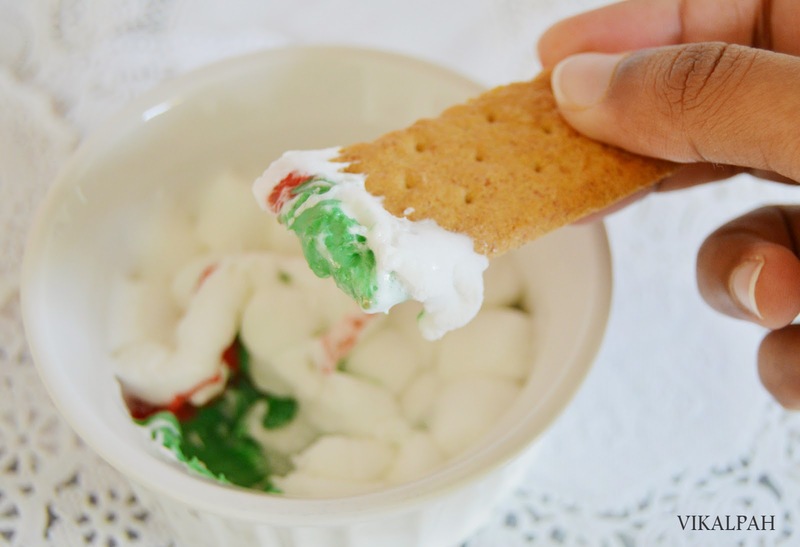 Note : This is a microwaveable version of S'mores Dip. This recipe is for someone who doesn't own a small cast iron skillet to put it in the oven , restless to wait for the oven to preheat and doesn't want to spend a lot of time in kitchen when guests and family are around but still wanted to enjoy a evening snack with everyone. Before I start I would like to say this particular chocolate thing as a experiment and not as a tutorial because I was not 100% satisfied with the result but it was worth a try. I am sharing this with a thought that when someone like me try this ,it will be helpful for them to know some points before starting to make these chocolates. 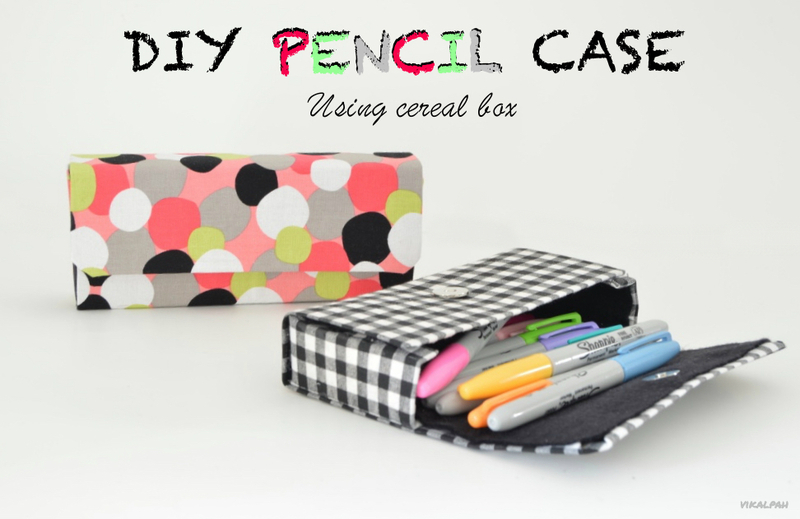 I will try this again and come up with the actual tutorial when I am completely satisfied with the end result. 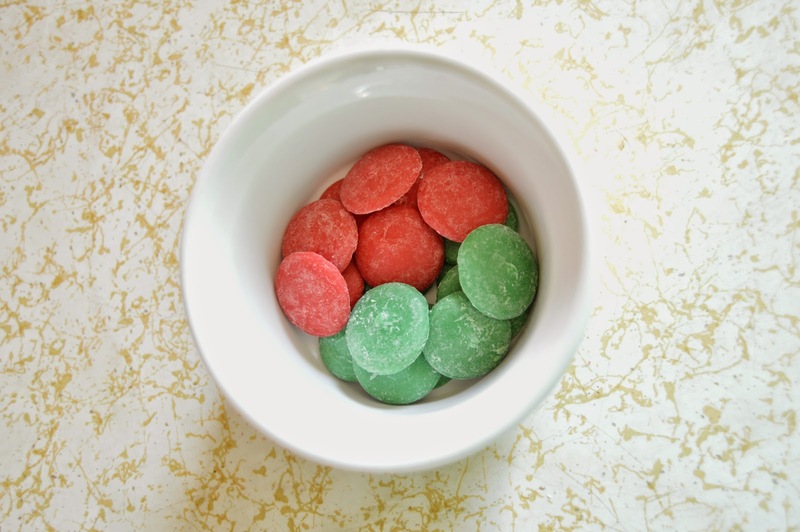 Step 1: Melt the candies in microwave for 1.30 minutes and pour them into the mold. 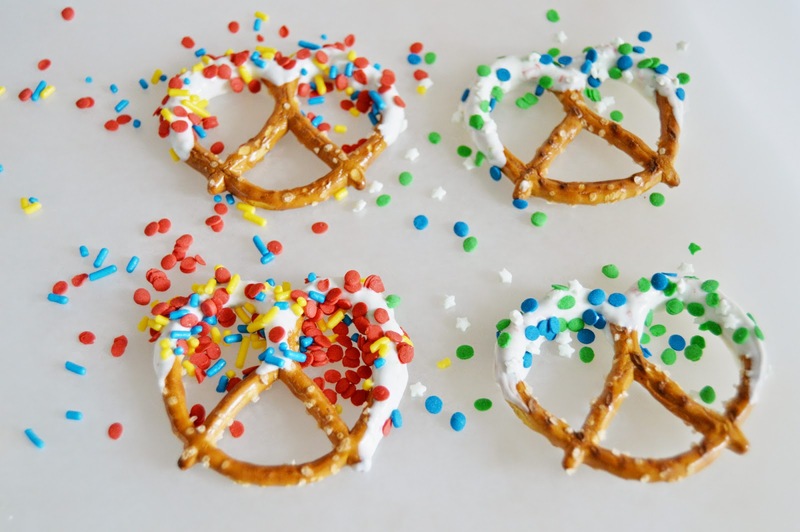 Add some decoration with sprinkles and allow them to cool.Pop it once it becomes solid. This is what many tutorial says but I will share few points on what happened when it tried. 1) I filled the mold till the top. Don't do this as it will be very difficult to pop out the chocolate . Yes ! I still couldn't pop it. (Snowflake-white) .This was my first trial of filling the cookie cutter. 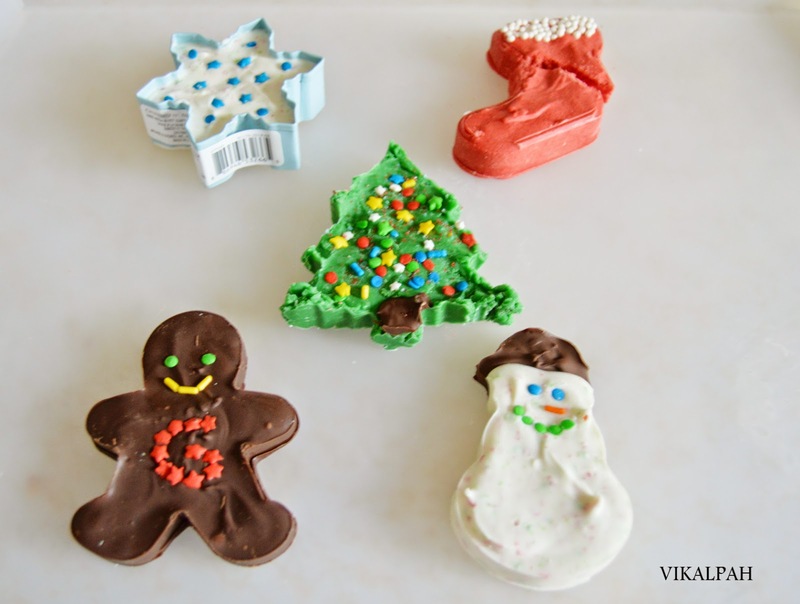 3) I felt spraying or buttering the cookie cutters would have been helpful to pop up it easily without freezing the chocolates but this point still needs to be experimented. 4) I still could not find a way to get a smooth chocolate on the top as I was using spoon to smooth I somehow get the final stroke in the chocolate (You can get when I mean, right?). Tapping the tray after filling just does not work for me. This is one of the reason why I say this as a experiment and not a tutorial. If you know any idea to overcome this, please do share it in the comments below. 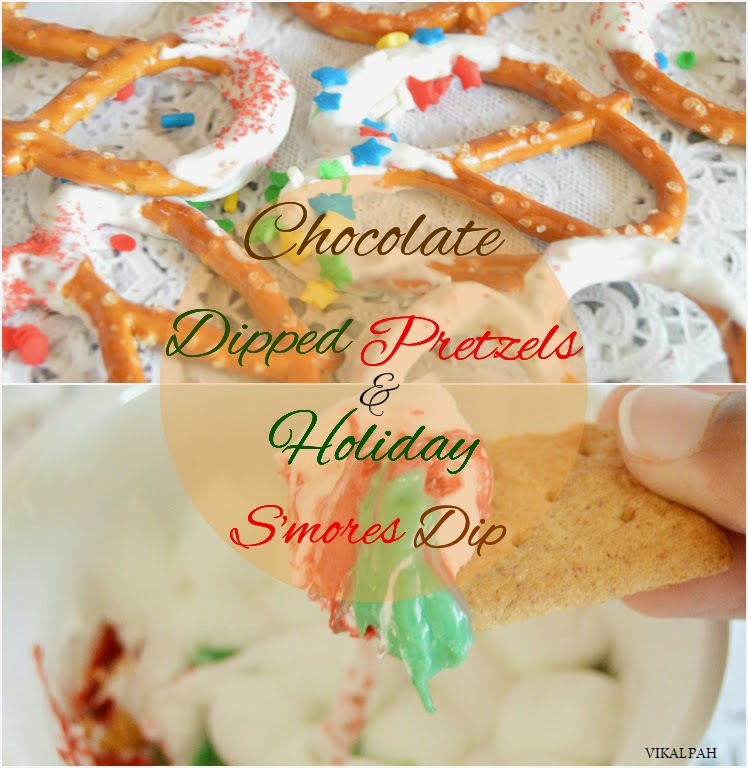 The pretzels are cute and the s'mores dip sounds amazing. That's such a great idea. 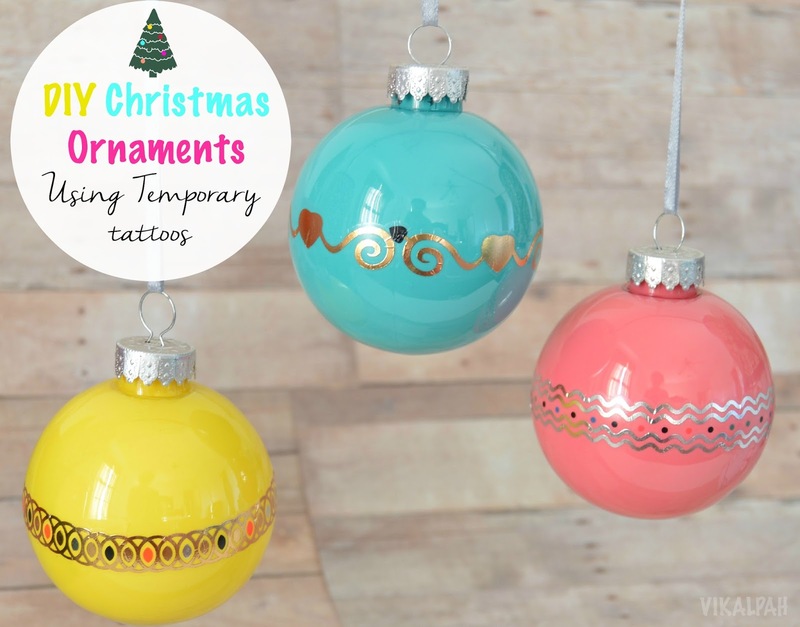 Thanks for linking up at the #homematters linky.